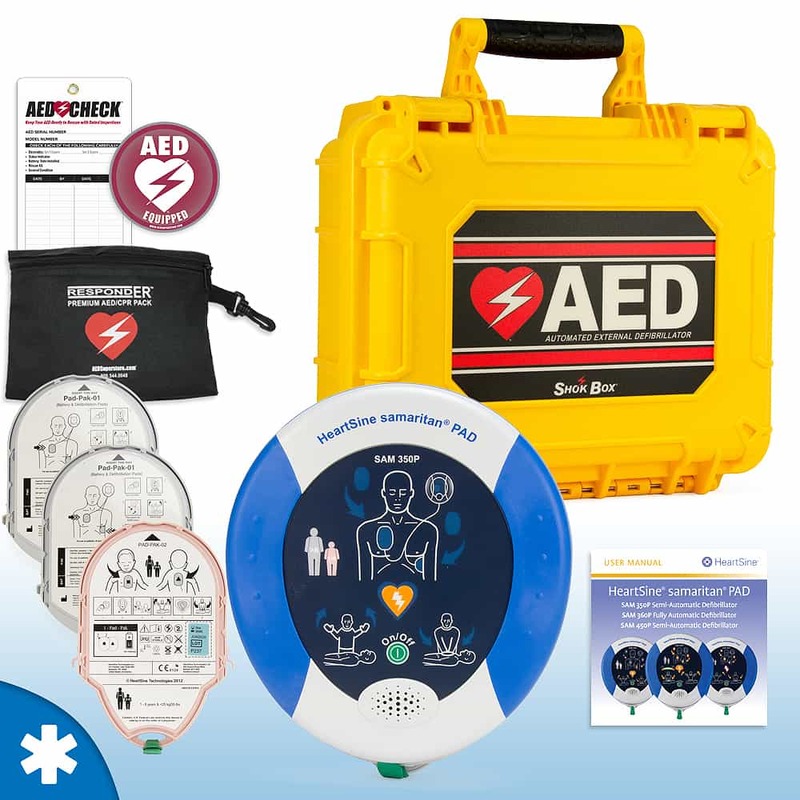 HeartSine samaritan PAD 350P & 360P - Includes 8 year manufacturer's warranty, adult Pad-Pakâ„¢, and custom-fitted soft carry case. Spare Pad-Pak™ - Includes a spare set of adult defibrillation pads and battery. Pediatric-Pak™ - Includes one set of pediatric defibrillation electrode pads and battery. Shok Box® Hard Case - Tough and watertight. Protect your investment!